Gluten-free options are marked, and they have allergen info on their website (link here). Burgers (except for the black bean ones) are gluten-free, but there's no gluten-free bun on hand, so you'll have to go bun-less. Other options include salads, turkey chili, and appetizers. The fryer is dedicated gluten-free, so you have free reign to enjoy their house-made fries and chips to your heart's content. When ordering, make sure to specify to the wait staff your allergies, because they will flag your meal for special consideration to keep it safe in the kitchen. 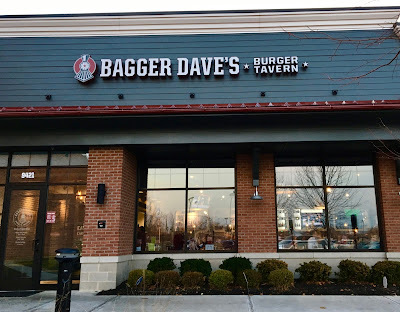 Although I was tempted by the build-your-own burger option, the cold weather spurred my to change my order to a bowl of Bagger Dave's turkey black bean chili.You can get it with a side of cheddar or sour cream, but I asked if it would be possible to get a dollop of guacamole (and I did). The chili is hearty and filling, if not spectacularly flavor-filled. The guacamole added a nice creamy contrast that definitely perked up the soup. Don't get me wrong, the chili was good, but I've had better homemade versions. As a side, I ordered the house salad with balsamic vinaigrette. 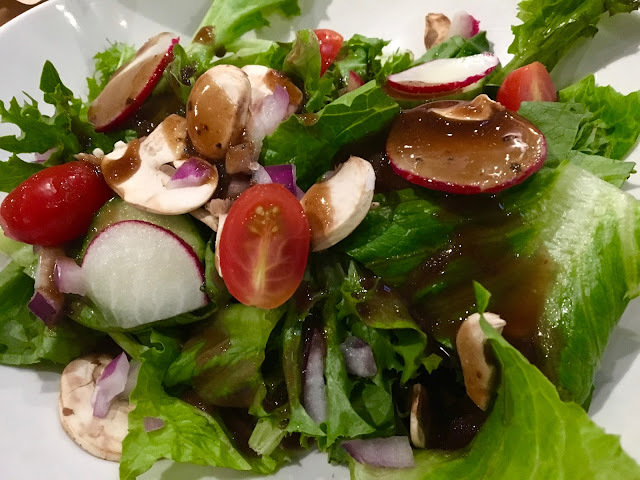 The dressing was vibrant and flavorful, and the array of lettuce, tomatoes, mushrooms, and onions were fresh. 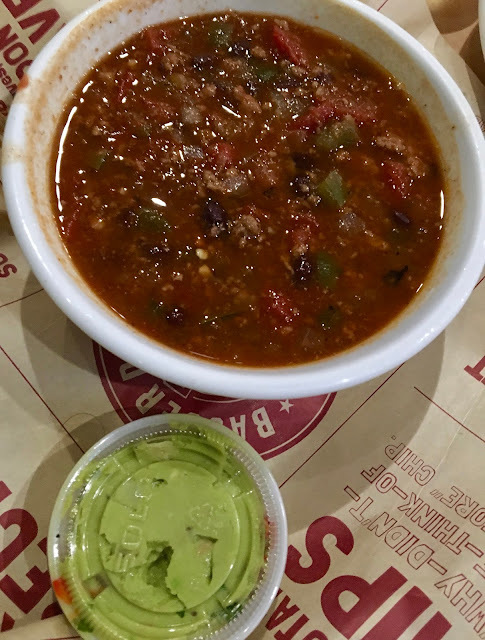 It was a solid salad, and definitely paired well with the chili. Other gluten-free side options include tortilla chips, sweet potato chips, and Belgian french fries. 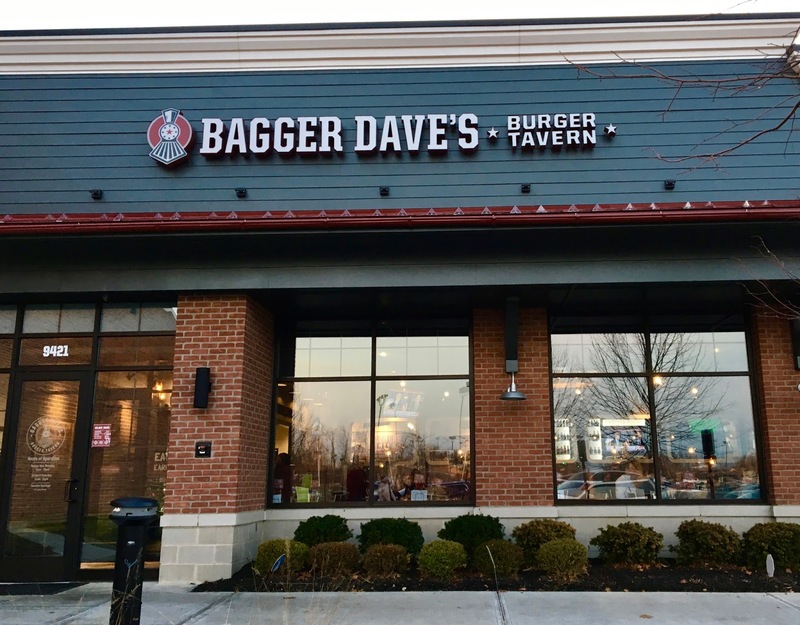 Bagger Dave's was a solid experience, with an extensive menu of gluten-free options and good safety protocols. My food was good, and I appreciated having lots of options that felt "normal" to eat out with friends.